A LITTLE bit of Japan came to NORPA last week for a cross cultural partnership intersecting theatre with dance. Esteemed Japanese theatre company Idiot Savant was in Lismore to run a workshop to share their their techniques with NORPA, Brisbane-based dance company Belloo Creative and a number of local performers. The collaboration was part of a two year program of four workshop-labs run by NORPA and Critical Path called INFORM. 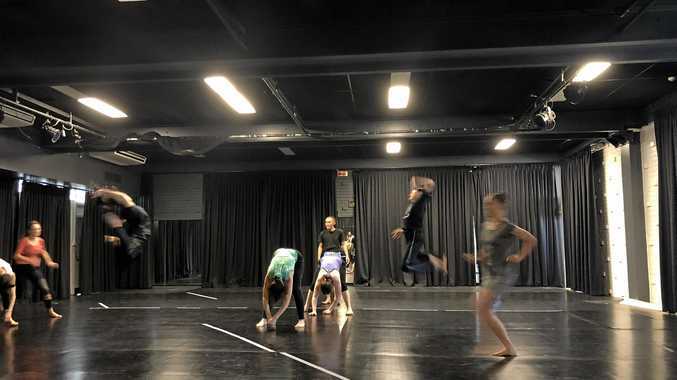 "It aims to explore and extend dance theatre practice in the Northern Rivers region,” NORPA associate artistic director Kirk Page. During the workshop the companies "explored the dynamics of cultural connection in dance and theatre movement methodology”. Idiot Savant has produced 21 works since forming in 2003. The critically acclaimed company has created their own performance theory based on the logic of Japanese physicality and the principles of sports medicine. They also incorporate poetry and text into their works. Idiot Savant is known for its ability to fuse unique body expression and physicality with text and images to produce remarkably original, contemporary experimental physical performances. This project is possible thanks to support from the Australia Japan Foundation and the Australian Government's Regional Arts Fund, which supports the arts in regional Australia.